Mixed cell populations from oral tissues may be superior to pure stem cells for regenerative approaches. 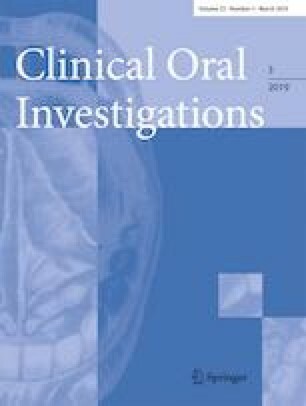 Therefore, the aim of the present study was to explore the osteogenic potential of mixed cells derived from oral connective tissues compared to alveolar osteoblasts. Primary cells were isolated from the alveolar bone, periodontal ligament and gingiva. Following characterization by colony formation, growth capacity and flow cytometry, all cells were subjected to osteogenic differentiation induction and screened for a large panel of osteogenic markers using western blots, qPCR arrays, and matrix mineralization and alkaline phosphatase quantification. Non-induced mixed cells from gingiva showed higher colony formation efficiency but decreased proliferation compared to non-induced periodontal mixed cells, while both entities revealed similar surface markers tested in this setup. Following osteogenic induction, all cell populations individually expressed receptors with distinctively activated downstream effectors. Gene expression of induced periodontal mixed cells was similar to alveolar osteoblasts, but was differently modulated in gingival mixed cells. The latter failed to achieve osteogenic differentiation in terms of matrix mineralization and alkaline phosphatase activity, which was well observed in periodontal mixed cells and osteoblasts. Mixed cells from periodontal ligament but not from gingiva feature an inherent osteogenic capacity in vitro. From these results, it can be concluded that periodontal cells do not require further stem cell enrichment in order to qualify for bone regeneration. Our data contribute to the development of novel cell-based therapies using mixed cells from the periodontal ligament in regenerative periodontics. The online version of this article ( https://doi.org/10.1007/s00784-018-2529-4) contains supplementary material, which is available to authorized users. The authors are grateful to Anja Kaufmann for her excellent technical assistance. The corresponding author is indebted to the Baden Württemberg Stiftung for the financial support of this research project by the ‘Eliteprogramme for Postdocs’. All procedures performed in studies involving human participants were in accordance with the ethical standards of the Committee of Ethics of the Medical Faculty of the Albert Ludwigs University Freiburg, Germany, and with the 1964 Helsinki declaration and its later amendments or comparable ethical standards.